Keep hands beautifully cleansed with this mild and gentle formulation that is non-drying and kind to skin. 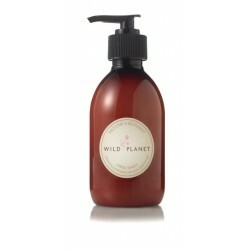 Blended with all organic citrus essential oils and a hint of rosemary for a refreshing and energizing hand wash. Deeply cleansing hand wash with an enlivening, zesty aroma. Aqua (Water), Potassium Cocoate (derived from Coconut oil*), Potassium Oleate (derived from Sunflower oil*), Lauryl Betaine, Glycerin*, Benzyl Alcohol, Potassium Palm Kernelate, Palm Kernel Acid, Decyl Glucoside, Potassium Citrate, Cymbopogon Flexuosus (Lemongrass*) oil, Citrus Aurantifolia (Lime*) oil, Citrus Aurantium Bergamia (Bergamot*) oil, Citrus Nobilis (Mandarin*) oil, Rosmarinus Officinalis (Rosemary*) oil, Limonene**, Citral**, Linalool**, Geraniol**, Citronellol**, Eugenol**. *certified organic, **occurs naturally in essential oils.